The Columbus Fishing Expo was this weekend, but due to a cold snap I was unable to leave the dog door open for the dogs, so I had to stay home. Today, I was invited to an annual "Harness tying Party" at a friend's boat condo. We never get around to tying harnesses though, because it's basically just a get together with a dozen or so people who talk about their memories, boats, and all things fishy...while partaking in copious amounts of food and beverages. It's always a good time. (Jill is getting too old for a concrete floor, so I let her stay home to lay on her comfy bed). All the talk about fishing really has me fired up to get going again. But, there's still ice on the lake, and rivers raging with ice and mud, so it's going to be a little while yet, before we can get out. 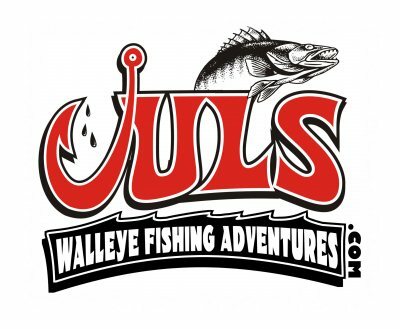 The reservations are coming in now, and dates are filling up....but, there are still some early spring dates left March and April if you're looking to try and catch a trophy walleye. May has a handful of dates left open right now too. The new 2019 Ranger was "broken in" before it iced up, so she's running great and ready to go as soon as the ice goes out!